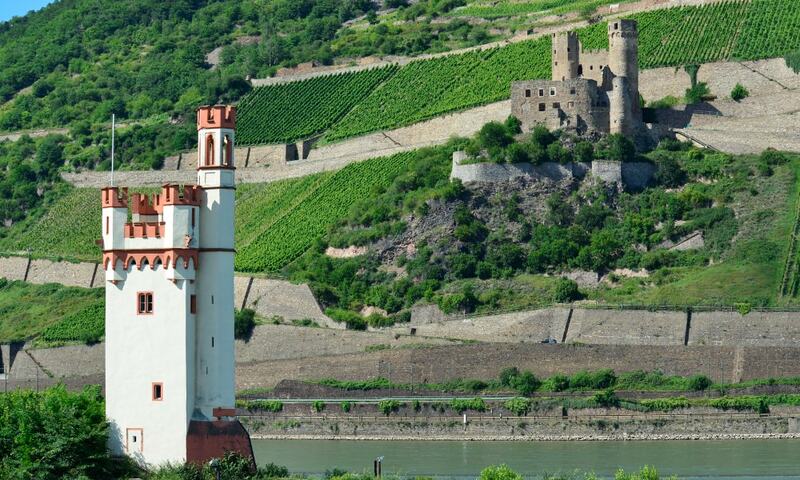 Ehrenfels Castle is located on the steep eastern bank of the river Rhine amid extended vineyards. The grape variety Ehrenfelser is named after the castle. In the 14th century, the castle was supplemented by the Mouse Tower, located on the other side of the river. The ruin can be reached from Rudesheim via a hiking trail through the vineyards.